A friend of mine, Teri Peterson, is a speech pathologist with a huge love for children and helping them to communicate in the world around them. Just being around Teri makes you excited for life. Her book, The Big Book of Exclamations, is a fitting title as being with Teri is just like being with an exclamation point! This is a great book to recommend to parents to help them know how to promote good speech development with their children. It is also a great book to have in church nurseries to give teachers and care providers a resource for interacting with children. While not explicitly spiritual in nature, we do want to help parents connect with their kids and speech is a vital part of that process. 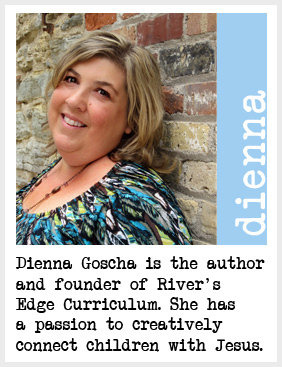 Check out the website and consider buying it for your church nursery, as a gift for baby showers or for your own home. I know I recommend it to parents as a valuable resource to have in their homes. Simple science gadget gets kid’s attention! 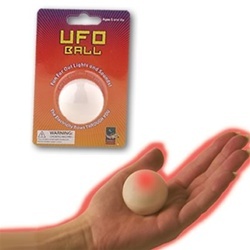 Have you ever used an energy ball or UFO ball? These gadgets light up when both of the metal strips on the ball are touched (makes a circuit). When one metal strip is let go, the light goes out. This will even work with thirty kids standing in a circle and two different kids making the connection with the energy ball. These are great for mission’s trips. They travel easy, are inexpensive and grab kid’s attention no matter what language difficulties might exist. (Show the energy ball.) When we look at this ball, it just seems like a plain ball. However, if I put both of my fingers on these metal strips, look at what happens. (Ball lights up.) The ball lit up when I was connected to the ball. What happens if I take one of my fingers off the ball? (Take a finger off and the ball will not light up.) The light went out. We need to stay connected to Jesus for our lives to show a light to the world. Without being connected to Him, we can’t shine for the world to see.